The FreeMotion LIVEAXIS™ Chest targets muscles in the shoulders, arms and chest. Live-sliding pulleys follow your path of movement–offering progressive resistance and optimum muscle activation throughout your entire exercise. 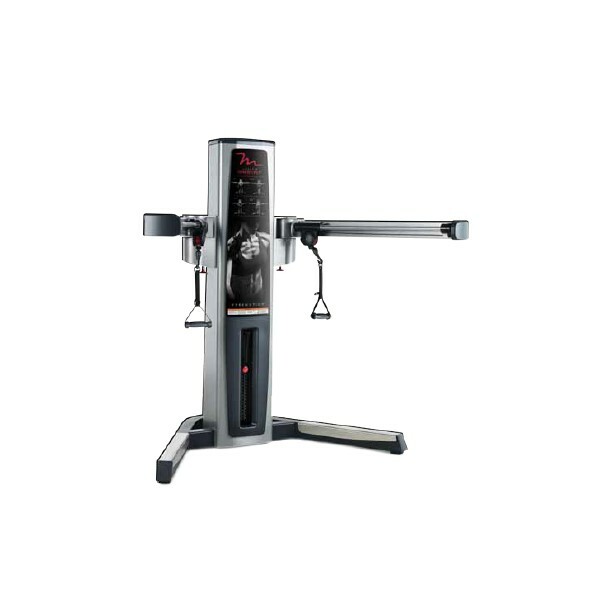 Plus, the FreeMotion F700 helps engage the synergistic stabilizing muscles to improve overall strength, balance and core power. Its purpose is to functionally train the upper body to work together in pushing movements. Live-sliding pulley technology allows the user's muscles to stay at optimum activation with never-ending resistance throughout the entire movement. Handles move independently for a wide variety of back exercises and single arm movements. Arms horizontally adjust to a wide position for a fly movement pattern, or to a standard position for a chest press movement pattern. Two D-ring connectors allow the user to customize the handle to their arm length. Extensive cable travel allows for a full exercise flexion of 31" per arm (79 cm).